Two goals from Lucas Cavallini propelled Canada's men's soccer team to a dominant win over French Guiana in on Sunday. The win in the fourth and final CONCACAF National League qualifying match means Canada will be represented at both the Gold Cup this summer and in Nations League action next fall. 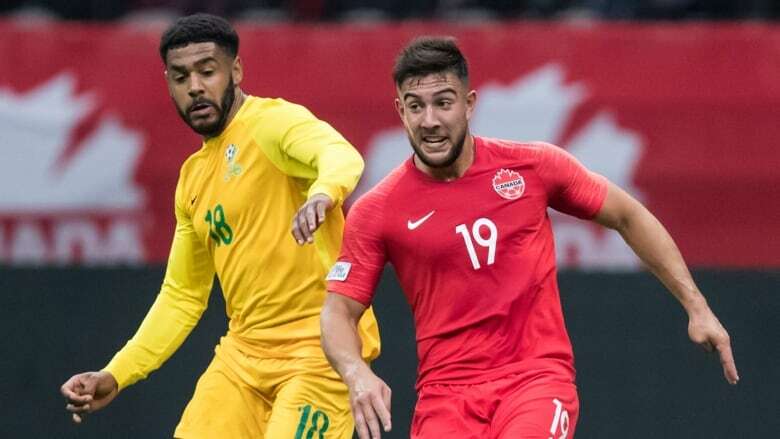 Two goals from Lucas Cavallini propelled Canada's men's soccer team to a dominant 4-1 win over French Guiana in Vancouver on Sunday. The goal was the first Canada has conceded since John Herdman took over as the squad's head coach in January 2018.